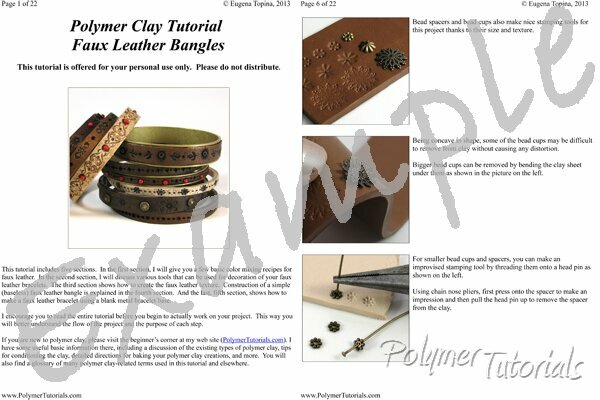 Follow this step-by-step polymer clay tutorial to learn how to make beautiful bracelets that look convincingly like tooled leather. Nearly sixty big full-color pictures showing every step. Love it already. Nice clear instructions. Love the bracelets ..